One of the first steps in the wedding planning process is deciding what time of year you’ll tie the knot. While each season comes with its own unique set of pros and cons, spring is easily the most popular season for weddings. With nature providing an air of hope and visual symbols of vibrancy and new beginnings, spring is a meaningful time of year to begin your journey as a married couple. If you’re considering getting married in the spring, there are a few things you’ll want to know so you can plan a wedding that’s everything you have ever dreamed of, and more. Have you already started planning but are searching for the perfect wedding rings? The possibilities are endless when it comes to choosing a wedding dress. Spring weather is generally temperate enough to allow for any style wedding gown. Temperatures are typically high enough that you won’t be chilly in a strapless gown while still cool enough to prevent you from getting too hot in something with more coverage. Unlike the chilly winter months, you won’t need to worry about finding a stylish shawl or coat to keep you warm, which can simplify the dress shopping experience considerably and open up a plethora of stylistic options. You’ll have a wide variety of choices for your wedding flowers. During springtime, many of the most beautiful flowers are in bloom. Whereas some seasons may be slightly more limited when it comes to certain flower types as far as availability and appropriateness go, spring wedding season offers up a virtually limitless garden of choices. Whether you’re considering a do-it-yourself approach to your wedding florals or hoping to work with a professional, a springtime bouquet can include nearly every flower you can think of and all look copacetic against the backdrop of spring flora. You may want to prepare for unpredictable weather. As the old saying goes, “April showers bring May flowers.” It is not unusual for a sunny spring day to quickly turn into unexpected rain and cloudy skies, so be ready with a “Plan B.” If you are planning an outdoor wedding, consider having a back-up plan in case of rain – perhaps a tent or an indoor reception area to use in the event of inclement weather. Assuming that all goes well with the weather forecast, you won’t need to relocate the celebration, but it’s always a good idea to be prepared– it will take the guesswork and stress out of contingency planning and set your mind at ease on the big day. The popularity of spring wedding season can challenge your budget and timelines. 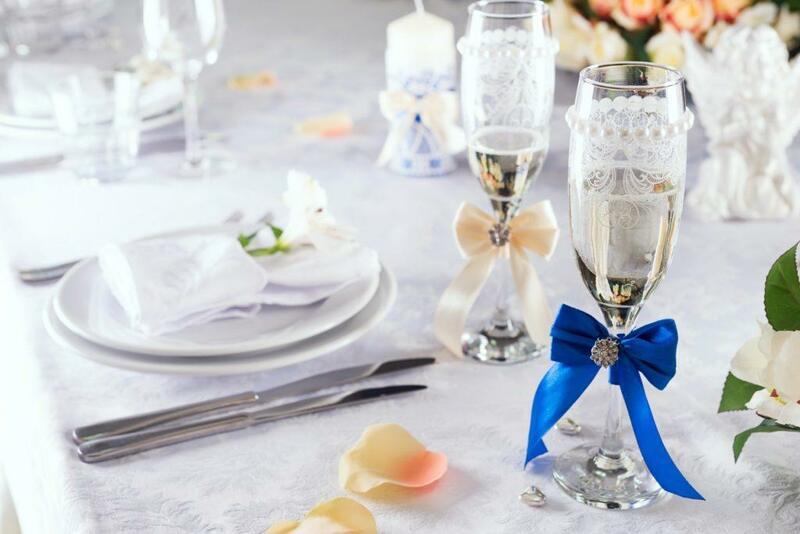 Don’t be surprised if you notice a premium on wedding amenities and services in spring; the high demand usually makes it the most expensive time of year to get married. Also, because so many engaged couples will be searching for photographers, venues, and other vendors during spring, you might face increased competition for booking your first choices. You can avoid any unfortunate surprises by giving yourself ample planning time, or by simply choosing to be flexible in your search. No matter what season you choose to get married, your wedding ring will symbolize the joy and commitment of that special day. The right engagement ring and wedding band should not only be a representation of love, but also of the wearer’s personality and style. At Dominion Jewelers, we carry a wide selection of stunning wedding jewelry at our Falls Church boutique, with breathtaking designs crafted with you in mind. In addition to a wide array of designer styles, we also offer custom wedding ring designs, allowing you to partner with an expert designer to bring the ring of your dreams to life. We’re proud to have created lifelong bonds with many of our clients, creating jewelry to honor their wedding day as well as many more of life’s most important milestones. Visit Dominion Jewelers in Falls Church, VA today to find wedding jewelry worthy of your lifelong love.